Wicked and Wild Scavenger Hunt! Cat Thursday... Halloween & traveling kittehs. Naughty & Nice Holiday Hop! Friday Finds! **FREE & ON SALE** books! Spotlight: Cherry Adair + giveaway! All Hallow's Read: Book Drive & Giveaway! Tasty Delights-- Nutella Hot Chocolate! Modern day photographer Isabeau is pulled from the present time and thrust back into the year 1894 in Virginia. She must help save Hawk Morgan, a man threatened by a killer, a man endangered by his own erased memories. Hawk must survive in 1894 so his present day ancestor Pierce Morgan, will be alive in Isabeau's future. Isabeau begins to fall in love with Hawk Morgan but with both their future's uncertain and a killer on the loose, neither one of them may have a tomorrow to look forward to. Hawk sat gingerly on the large wicker chair Belva indicated. Surely it would hold him, though it was obviously meant for a slighter frame than the one he carried. He waited patiently as Belva fussed with the teapot and cups. "Aunt, you know why we need to talk." "Isabeau," she said, handing him a cup. 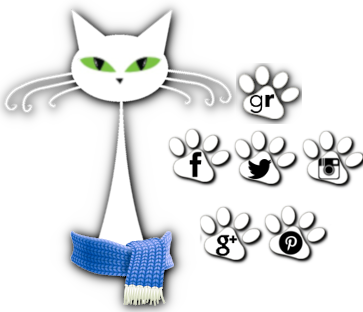 "I confess I have been unsure as to how to broach this matter." "It's something one may find difficult to comprehend," Maize said gravely. Hawk put down his fine china cup with its saucer and sat back, eyeing the two ladies. "So tell me what you know of it." "If Belva had not summoned spirits through that devil board --" Maize said. "It was the only way to keep you safe --" Belva began. Hawk put up his hand. "Ladies, please. Aunt, since you seem to be the one who started all this, you explain." "Maize is correct. I spoke to the spirits using the conjuring board." Vaguely, she pointed to the sitting room inside. "I've been worried some time for your welfare Hawk. You are my only kin left and you have your entire life ahead of you. I could not bear the thought that you would be taken from us." She sat up straight, her hands primly in her lap. Hawk noticed a faraway look in her eyes as she continued in a somewhat dreamy voice, "I spoke to them night after night, searching for a way to keep you safe." She looked out over the sun lit gardens. "It came to me one morning when I awoke. I recalled the old book of incantations and spells. It was a simple matter of choosing the right one to obtain help -- the best possible help to keep you safe." "And you think somehow that brought Isabeau here from another time?" he made no attempt to hide his skepticism. His aunt turned wide eyes on him. "Yes, that's true. I was told it was done." She clasped her hands tightly. "I know you are not happy with these circumstances, and I fear Isabeau was rightly angry, but now it is done." "Why Isabeau?" he asked tersely. "She was in another's heart. There is one other who came here from another time and she was pulled in with them." She darted him a quick look. "I don't know the identity of the other person but that's how the information was relayed to me." "So you're presuming when you asked for help from your board, and then Isabeau shows up, that your conjuring must have worked?" "But Aunt, we really have no proof, do we?" "Isabeau has no idea how she came to be here," Belva offered helpfully. "Her appearance on my ship may be a mystery but it does not prove a case of time travel," he muttered. The ache in his head settled to a dull throb. He pressed two fingers to his temple. "I'm no nearer the truth than when she first arrived. She believes this, you know. She believes she has been displaced in time. Needless to say she wants to go back. If this is true" -- he held up one hand as his aunt looked ready to burst into speech "-- if it is true, you need to reverse what you have done." "No, no." Belva shook her head. "I cannot." Grace Brannigan lives in the Catskill Mountains. She has been writing in one format or another as long as she can remember. She has made her books in various genre available as an indie author since the 1990's. She's a swing dancer and artist, painting custom shoes or barn murals and loves to hike in the mountains where she lives. Grace writes about strong women facing life altering issues and the men who love them. Her Women of Character series are 4 stand alone contemporary romances: Echoes from the Past, Once and Always, Heartstealer and Wishing on a Rodeo Moon, all available as ebook at Smashwords and Kindle. The Women of Strength series is a paranormal/time travel trilogy, Once Upon a Remembrance, Book 1, out now! Book 2 Soulmates Through Time (coming late 2012) and Book 3 Treasure So Rare (coming in 2013). 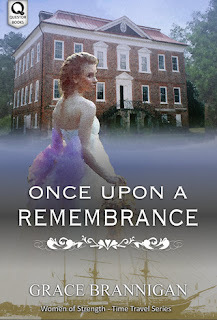 Grace is giving away one copy of Once Upon a Remembrance for one commenter! WINNER HAS BEEN PICKED! THANKS FOR COMING BY EVERYONE! Grace, the book sounds wonderful! :) I've added it to me TBR list, and can't wait to read it. I love time travel stories. I am excited to read this, added to the TBR list. Thanks for the exerpt and the chance to win. Time travel, suspense, mystery, romance... yes yes yes and YES! Thanks for the giveaway & Happy Monday! Okay you had me as soon as I saw the cover and saw the name Isabeau (one of my favourite names) and when I saw it was a time travel book. I think it takes a certain type of author to write this genre :) I can't wait to get my hands on a copy! I love to read time travel story, added with suspense and thriller surely it's a plus one. looking forward to read your book. hello grace, such a great blurb. i love the theme about time travel. its not a usual theme. the book sound interesting and the cover is wonderful..
nice to know you,,,i guess sound books is great,,and i love a time travel story.